In the immense virgin pine forests of Siberia, where the snows of winter are vast and endless, sits the little village of Svetlaya. Once, the village had been larger, more prosperous, but time and the pendulum of history had reduced it by the 1970s to no more than a cluster of izbas.<br /><br />But for three young men&#x2014;the handsome young Alyosha, the crippled Utkin, and the older, dashing Samurai&#x2014;little is needed to construct their own special universe. Despite the harshness of the environment and their meager resources, the three adolescents form a tight band of friendship and dream of another life, a world of passion and love. And when they learn one day that a Western film is being shown in the closest real city, they trek for hours on snowshoes to see it. Through that film, the boys&#x2019; lives are changed forever.<br /><br />Written from the perspective of twenty years after these youthful events, <i>Once Upon the River Love</i> follows the destinies of these three young idealists up to the present day, to the boardwalks of Brighton Beach and the jungles of Central America.<br /><br />With the same mastery of plot and prose that marked the author&#x2019;s<i> Dreams of My Russian Summers</i>, this novel demonstrates Makine&#x2019;s remarkable ability to recreate the past with such precision and beauty that the present becomes all the more poignant. <strong>Andre&iuml;&nbsp;Makine</strong> was born in Russia in 1957 and emigrated to France in 1987. 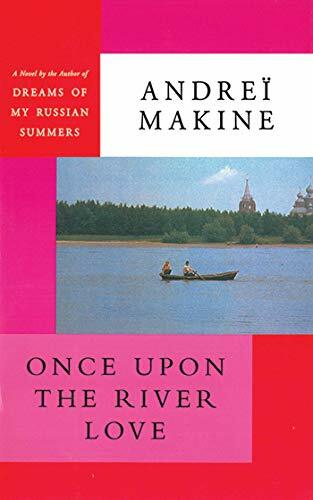 In 1995 his novel <em>Dreams of My Russian Summers</em> won the Goncourt Prize and the M&eacute;dicis Prize, France&#x2019;s two most prestigious literary awards.